White blood cells. 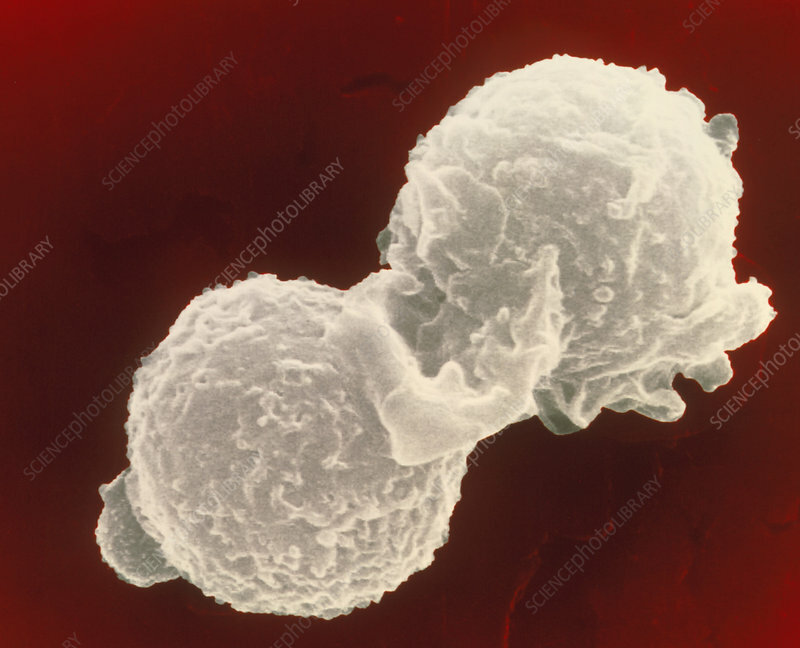 Coloured scanning electron micrograph of two polymorphonuclear white blood cells (leucocytes). These cells, also known as neutrophils or polymorphs, are involved in protecting the body against infection. They engulf and digest invading micro-organisms by a process called phagocytosis. Highly mobile, these cells will migrate to an area of tissue damage to engulf micro-organisms and cell debris. However, the special enzymes needed for their work are quickly depleted so they will degenerate after activity. Defunct polymorphonuclear white blood cells are the main constituent of pus. Magnification: x6,000 at 6x7cm size.